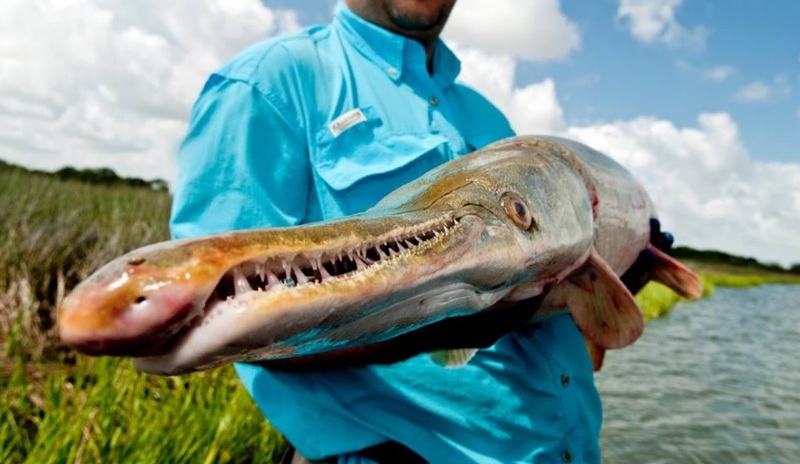 AUSTIN – The Texas Parks and Wildlife Department is proposing changes to fishing regulations for alligator gar, the largest and longest-lived freshwater fish in the state, to be voted on at the Texas Parks and Wildlife Commission meeting March 20 in Austin. The proposed changes are intended to help the Department conserve and prevent the overharvest of older, mature alligator gar; fill data gaps through mandatory harvest reporting and allow for limited opportunity to harvest large alligator gar from the Trinity River by creating a drawing system. The first of four components of the proposed regulation changes include instituting a four-foot maximum length limit on the Trinity River, Texas’ top destination for anglers pursuing large alligator gar. This limit means anglers could not harvest any alligator gar over that length from the Trinity River from the I-30 bridge in Dallas downstream to the I-10 bridge in Chambers County including the East Fork of the Trinity River upstream to the dam at Lake Ray Hubbard. The second component of the proposed regulation changes would create a drawing to allow selected anglers to harvest one alligator gar over 48 inches in length per year from the Trinity River. The limited entry system would grant non-transferable harvest authorization for a set number of alligator gar. Permissions would be selected and distributed through a limited random draw of interested applicants. The final two proposed rules would be in effect statewide. First, a proposed regulation change would prohibit nighttime bow fishing statewide for alligator gar 30 minutes after sunset to 30 minutes before sunrise, which includes both take and possession using lawful archery equipment including crossbows during those nighttime hours. The last component of the proposed regulation changes would require all anglers harvesting alligator gar statewide to report their harvest within 24 hours online or through a mobile app, similar to what is currently needed for eastern turkey. This system would give the Department more data on alligator gar numbers to try to ensure quality fishing for future generations of anglers. Statewide, a one-fish-per-day bag limit would remain in effect, and at Falcon International Reservoir, the daily bag limit of five fish and possession limit of 10 fish would also remain in effect. Falcon would also be exempt from the harvest reporting requirement. “We are proposing to exempt Falcon from mandatory harvest reporting as this lake appears to have a robust population of alligator gar so that information is not needed at this time to manage that particular fishery,” Bonds said. All of the proposed rules will be available for review in the Texas Register on Feb. 15. Facebook Live Webinar: TPWD Inland Fisheries and Coastal Fisheries staff will present all proposed fishing regulation changes and answer questions in a Facebook Live webinar at noon Feb. 27 on the Texas Parks and Wildlife Department Facebook page. Public hearings: TPWD staff will be hosting several public hearings around the state to receive input from stakeholders and constituents concerning the proposed regulation changes. The dates and locations for these meetings will be announced Feb. 15 in a press release on the TPWD news release page. Online: Once the proposed regulations are published in the Texas Register, comments on each component of the changes can be provided on the TPWD public comment page. Phone or Email: Ken Kurzawski (512) 389-4591, email ken.kurzawski@tpwd.texas.gov. In person: The TPW Commission will take public comment on the proposed changes at their meeting on Wednesday, March 20 in Austin. Public testimony will generally be limited to three minutes per person. The commission will meet March 20 to vote on all changes to fishing and hunting regulations. Dates, agendas, and transcripts can be found at https://tpwd.texas.gov/business/feedback/meetings/.